It was strange sight on a La Jolla beach Sunday. 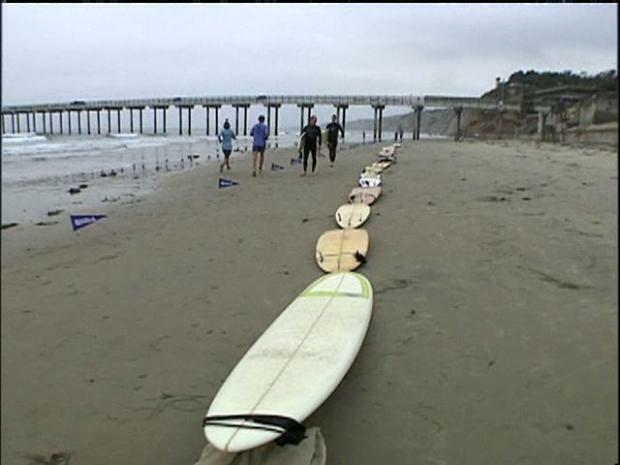 There were more surfboards lined up on the shore than there were in the water. One by one they were placed upside down just beyond the tide at La Shores. Adults, kids, and boards of all sizes were lined up nose to tail in a huge unbroken chain of surfboards. With every board is a story -- either someone who knows someone who has or had cancer or someone who had it themselves. 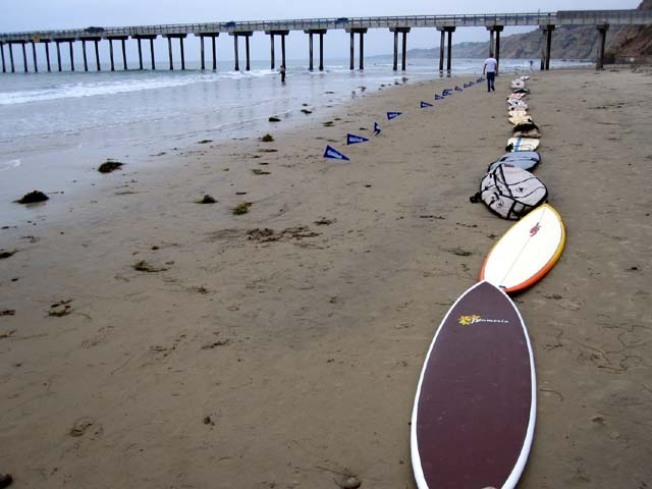 Part of putting down their boards for cancer is an event known as Survivor Beach. 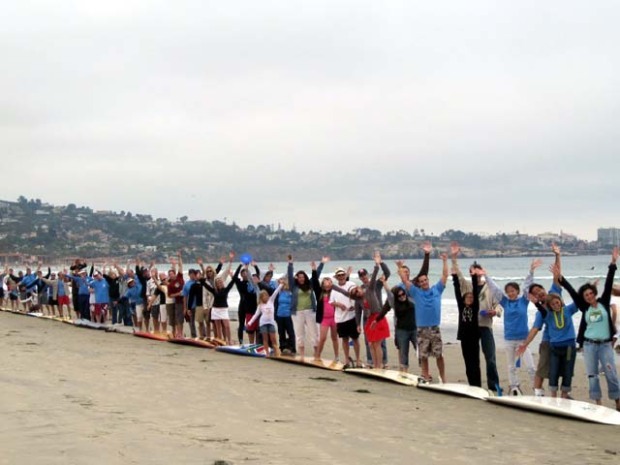 "Some people run, some people bike, but we surf for a cure and I think that's the most important part is to show surfers are out here working really hard to raise awareness for the need for cancer research," said Jessica Lingling. Largely symbolic, this event is really a kick off for next month's moneymaker -- an annual surf contest and luau that over the years has raised $4.7 million for the Moores UCSD Cancer Center. "I was diagnosed with a rare form of Leukemia in 2008. Because of hospitals like the Moores cancer research center I take a one a day pill and am in full molecular remission,” said cancer survivor Cory Reynolds. "There are a lot of events, but surfing has always been my passion and combining both my passions together is very important," said cancer survivor Eva Clark. It’s a link never more obvious than on that beach -- where the boards that usually help them catch a wave now help them find a cure.